New music alert! 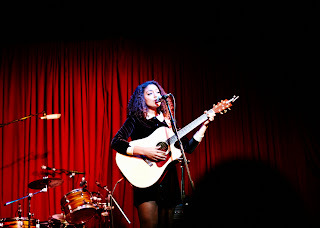 Dana Williams is an up and coming singer and songwriter from the Los Angeles area. Sister to actress Davida Williams and daughter of the great David Williams, who is perhaps most known for his 30 years working alongside Michael Jackson, Dana’s voice and music is fresh and soothing. Her voice is beautiful with a vintage quality to it. I get a bit of Norah Jones vibes when I listen to her.